Have you been locked out of your home? No need to panic, because the residential locksmiths at Lockman have you covered. Our skilled residential locksmiths can help you no matter the situation you are in, whether your keys are missing or your locks are broken. For your added convenience, we offer 24/7 emergency services all over Philadelphia and the surrounding suburbs. 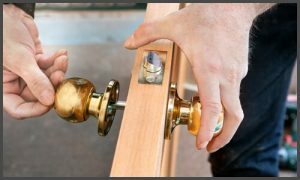 If you’ve been locked out, call our residential locksmiths right away. We can unlock houses, garage doors, apartments, and storage units with ease. If you have lost your keys or they were stolen, you do not have to replace your locks. Instead, you can just replace the key. Our Philadelphia residential locksmiths re-key locks and create master keys for homeowners, tenants, and real estate investors. We will simply change the tumbler configuration of your lock. After we’re done, the new key will operate the lock but the old one will not. Lock re-keying is useful if you’ve moved into a new house. Additionally, it can help you keep unwanted people out, such as previous tenants, past roommates, and former household employees. Your key can break and get stuck if you use too much strength to unlock your door. Rest assured that our local locksmiths can promptly extract broken keys from locks. As a property owner, you may need to evict a renter from time to time. Turn to our local locksmiths for assistance. Whether you are a landlord or a homeowner, we can provide you with eviction services that are civil and organized. We work with small, medium–sized, and big corporate accounts on a regular basis and are, therefore, prepared to handle whatever situation we’re placed in. For questions, feel free to reach out to us. Contact us for fast, efficient, and affordable residential lockout services. We also re-key and install any kind of lock to make your home a safer place.